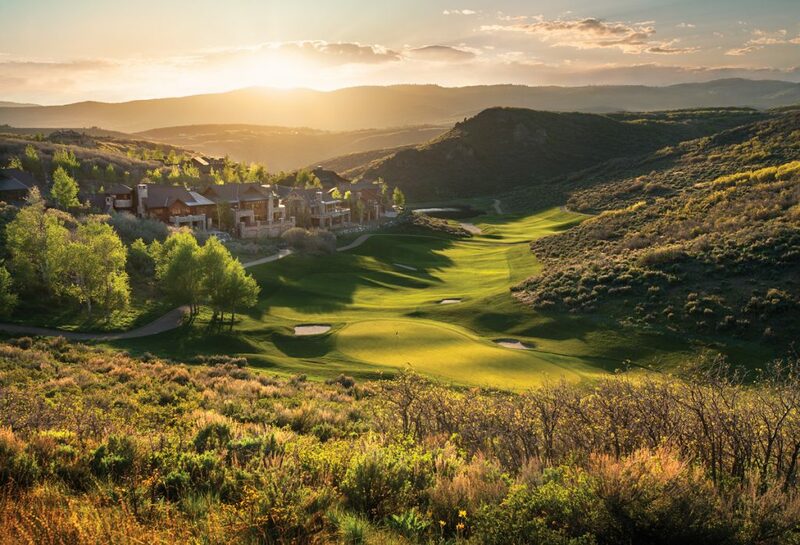 Imagine a place set in one of the West’s most majestic natural settings, Park City, Utah — seamlessly blended with a visionary mountain club community. Promontory is the place where generations of families pursue active recreation surrounded by a diverse array of superb amenities, all immersed in nature. Find yourself, your family…for a weekend, a lifetime, for generations. 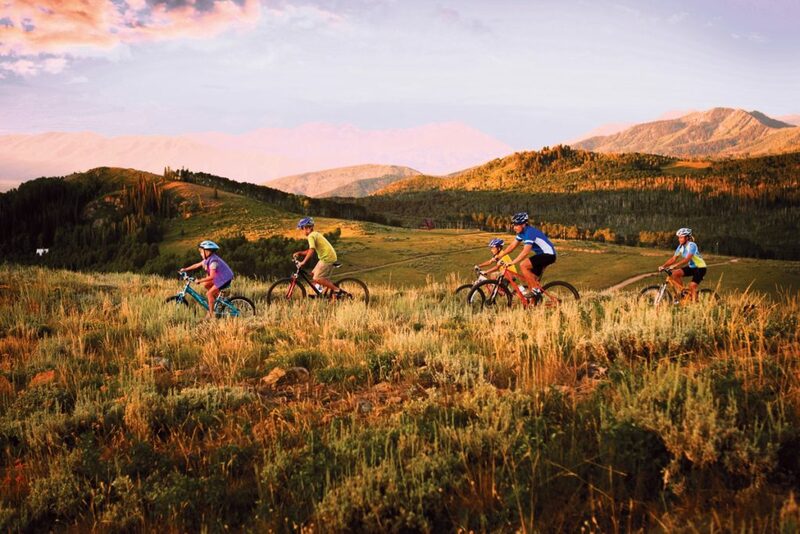 Our private mountain club spans over 6,400 acres, just a stone’s throw from Park City, generations of families could pursue active recreation amid a diverse array of superb amenities, while completely immersed in nature. The Promontory vision guided the creation of the development of over 9 unique club structures harmonious with the land. The architecturally diverse structures allow family members to engage in their individual pursuits — and gather for joint recreation and celebration. The mountain club–features an investment of more than $400 million in exceptional and award winning amenities for every season. No other community comes close. 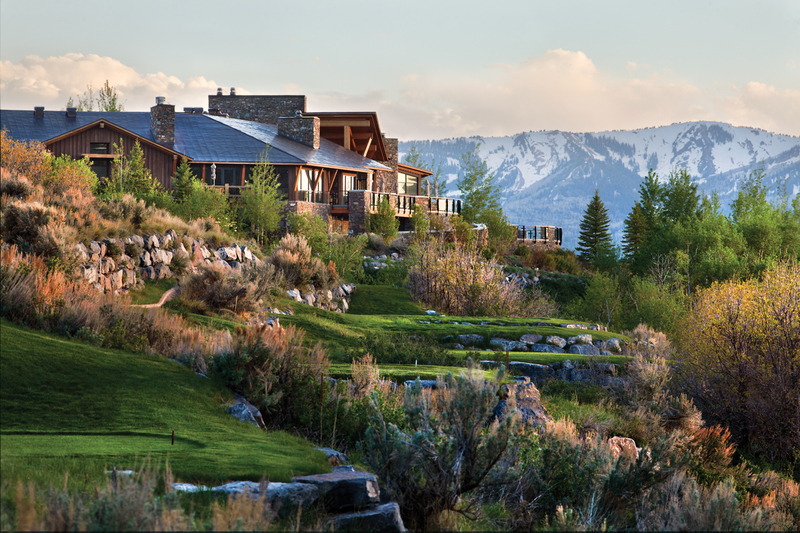 Nature is truly celebrated at Promontory. The Gatehouse is a welcoming structure anchored in rustic stone, where the Promontory Ranger extends a warm and gracious Promontory welcome. This magical place is an 10-square-mile sweep of untamed high country rising and falling from 6,500 to 7,400 feet in elevation, over 60% of which is forever protected as natural open space. The land, all 6,400 acres of it, is fostered under the vigilant stewardship of the Promontory Conservancy. Serving as both the Home Owners’ Association and the environmental guardian for the community, the Conservancy ensures that the policies protecting the Club’s open spaces are upheld and that its internal trail system and neighborhood parks are properly maintained. Funded by owner dues and a 1% enhancement fee from real estate sales, the Conservancy’s oversight ensures that this sweeping display of natural grandeur will be protected for future generations to enjoy. Ensuring that every family’s time in residence is an enjoyable and completely carefree experience is the central goal of each staff member at Promontory. Staff members recognize Members by name, know their every preference and learn to anticipate their every whim. The Club’s commitment to exceptional care is exemplified in the Promontory Club’s Concierge and Home Services teams. 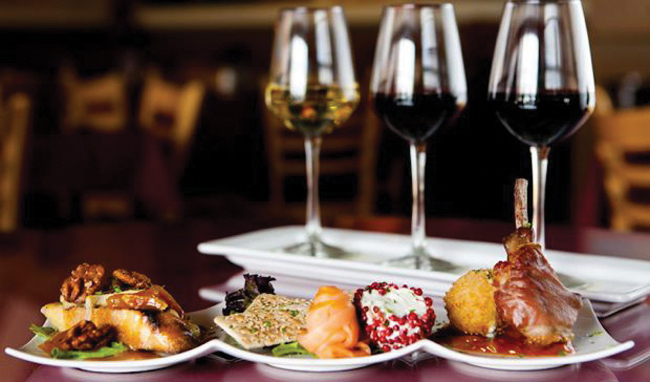 We ensure that each and every owner’s needs are met — whether it’s arranging special meals at the Club’s restaurants, securing Park City dinner reservations and lift tickets, or preparing a Promontory home for arrival. Ski. Golf. Skate. Swim. Bike. Hike. Ride. Fish. Bowl. Play Ball. 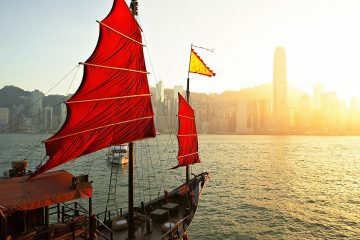 Explore solo or join a guided expedition. When you call 6400 acres your own backyard playground, there’s simply no such thing as “nothing to do.” No private mountain community in the world can match Promontory for outdoor adventures that bring families together. This is a mountain playground of epic proportions, blessed with the sunshine and mountain-fresh air. Up here, where the skiing is divine and the service is welcoming, every winter day is the ultimate family play day courtesy of the Club’s legendary snow-related activities. 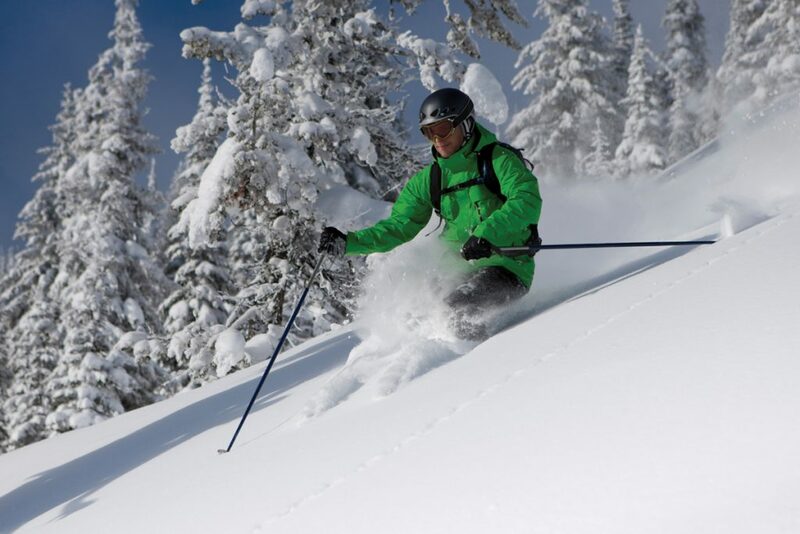 Relish the many splendors of America’s hip ski destination, rated the “No. 1 Ski Resort in North America” by SKI Magazine. Other wintertime adventures add to the memories, from a hill tubing on the driving range to ice skating, cross-country and Nordic skiing or snowshoeing, sleigh riding, dog sledding, and snowmobile excursions. Or spend time kicking back and roasting s’mores. Alpine adventures are an integral part of Promontory. 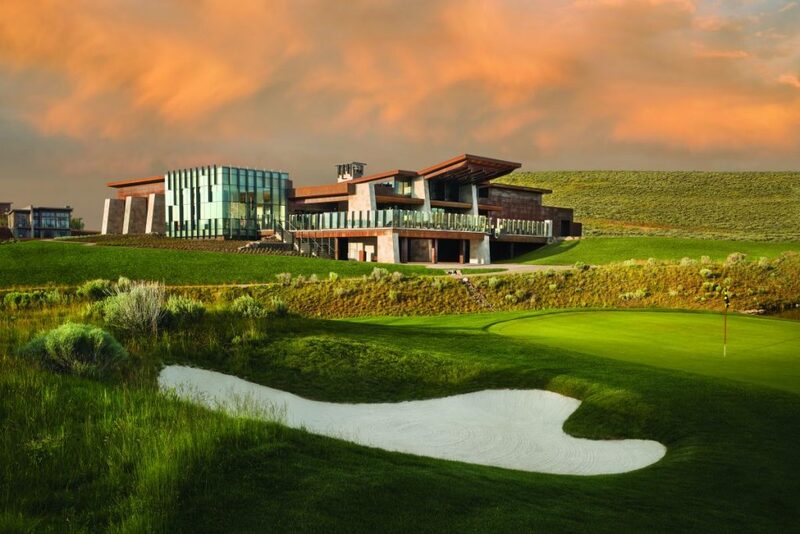 The best golf in Utah — and perhaps the entire Rocky Mountain region — continues to be Promontory. Two stunning 18-hole golf courses designed by two legendary designers deliver challenge blended with fun. Set against a stunning mountain backdrop in Promontory’s scenic Painted Valley, the Jack Nicklaus Signature Golf Course measures almost 8,100 yards — making it the sixth longest course in the world. 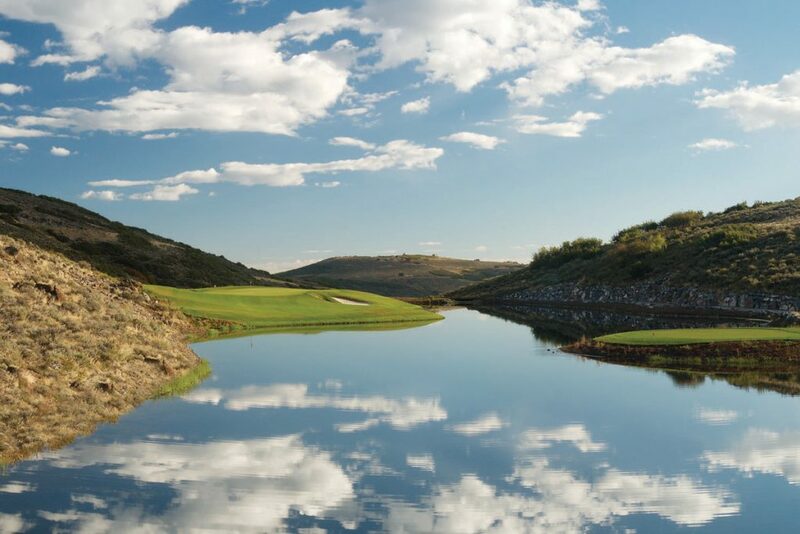 The toughest of the Golden Bear’s Signature designs in Utah, ranked by Golf Digest, in its inaugural year, as the 3rd Best “New Private Course” in the nation, the layout thrills everyone who has played it and stands as a fair test of golf for players of every skill level. The Pete Dye Canyon Golf Course is a 7,690-yard par 72. The Dye Course was named “Golf Development of the Year” by Golf Inc. Magazine. The course offers six sets of tees to accommodate all levels of players. Water comes into play on several holes, as do occasional elk or deer. The course also features PGA/U.S. Kids’ tee plates, enabling youngsters and beginners to have more fun, making Promontory the perfect place for kids to pick up the game. The Pete Dye Clubhouse, standing majestically over the finishing 18th, is an architectural gem revealing an array of luxuries to soothe and restore foursomes following around. More than a building, it’s a meeting place with a heartbeat. Whether it’s lounging on the expansive outdoor deck amidst panoramic vistas, browsing the latest styles at the pro shop, or enjoying cocktails or dinner at the exclusive Hearth Grille, the Pete Dye Clubhouse is one of the game’s finest indulgences. This national award-winning 16,000-square-foot contemporary amenity is an architectural interpretation of an old mining shed that provides a safe haven for families. 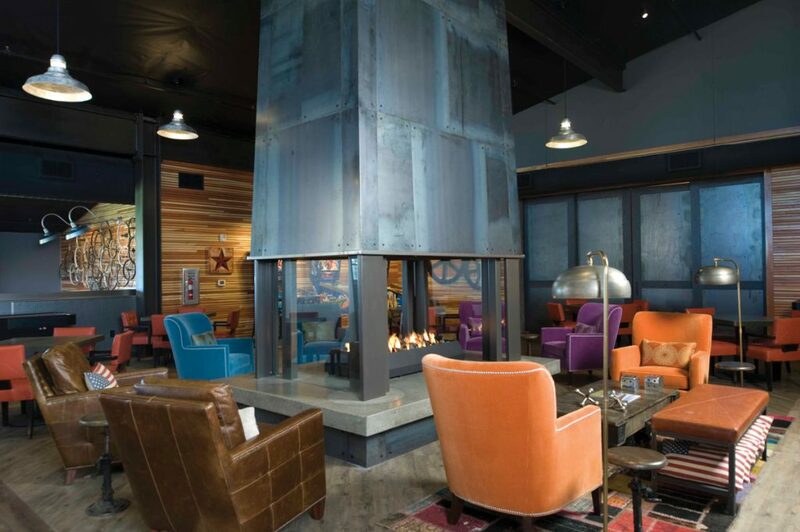 A casual, family-friendly gathering place, the Shed’s tempting mix of offerings includes a billiards and game arcade, arts and crafts studio, retro board games, indoor basketball court, 50-seat movie theater, two-lane bowling alley and a spacious outdoor deck offering panoramic views, along with a mail room and outdoor amphitheater. It’s a place to hang out for sports on Sundays or gather for a friendly game of Scrabble or hoops. This much fun always works up an appetite, which is why The Shed also offers casual family dining, a sports bar, and a nostalgic soda fountain. Situated a short walk away from the Ranch Clubhouse, this 5,000-square-foot “kids only” clubhouse, specially designed for 4- to 12-yearolds, offers organized activities, games, and crafts. It’s the entry point for the Promontory Adventure Trail — a Tom Sawyer-inspired fantasy path meandering through trees and across a stream, complete with a waterslide, log cabin, fort, tree house and cave. The Kids’ Cabin Director, an experienced educator, is dedicated to wholesome activities and learning opportunities that build memories and character. 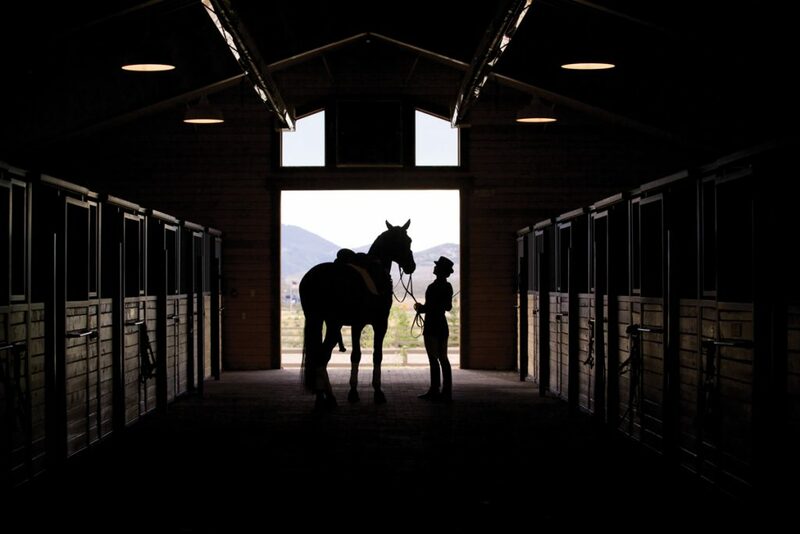 Promontory provides luxurious surroundings for all its Members — including horses — at its world-class Equestrian Center. The private boarding and training facility, designed exclusively for Equestrian Members, features indoor and outdoor arenas, private horse stables, heated stalls, washing and grooming areas, and a private club lounge for viewing, training and riding as well as tailored programs and lessons. Unwind after indulging in every activity possible: visit Promontory Spa. With top of- the line products and highly trained therapists, members can submerge themselves in ultimate relaxation and rejuvenation. 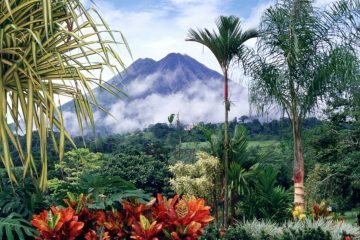 Treatments are designed to acclimate each individual to the spirit and temperament of the mountains. Featuring specialized body scrubs made from crystals from the Great Salt Lake, moisturizing facials, and the Riverbed Smooth Stone Massage, the treatments cater to each and every one of your needs. Hit the beach in 2017 at Promontory! A stone’s throw from the Nicklaus Clubhouse, the Promontory Beach House will open summer 2017 and bring even more family fun choices! Walk in to find a colorful environment inspired by the classic beach ball that brings back childhood memories. The Beach House will feature activity areas for you and your family including a Sand Volleyball Court and an Amphitheater for events and gatherings at the Nicklaus compound. The Beach House Dock will include paddle boats to cruise around the lake and an outdoor café lets you grab a casual bite or beverage in your swimsuit and flip flops. Member lockers and showers make it easy to get ready for your next activity at Promontory or head back to your mountain home. When the snow falls, gentle slopes will become the Tubing Hill to have a blast in wintertime. 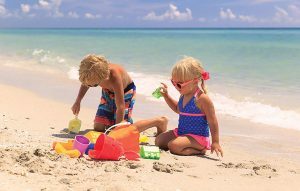 At the Beach House, you are not just building sand castles and snowmen, but wonderful family traditions for all generations.